Alicia Keys wasn’t quite done when the final curtain fell in Los Angeles as she capped off the evening by surprise releasing a new song. After hosting the 61st annual Grammy Awards, Alicia Keys dropped a new track, ” Raise a Man”. The piano-backed song is an ode to good men — and an appeal to make more of them. “You’re just not like these other men out here/ You just wanna hold me, and that’s okay/ Can I be a woman for you, babe, in a time when it’s not allowed,” Keys sings. “How am I supposed to pretend that I don’t want you the way that I do / ‘Cause every time you’re around me, I feel virgin all again / And every time you’re all around me, how can I renege, boy I just need your hand. “Is it okay that I’m not independent? Is it okay that I show weakness? Is it okay I can’t wait to see you? Is it okay to love a man right now? If you understand, then show me your hands,” she adds in the emotional song. 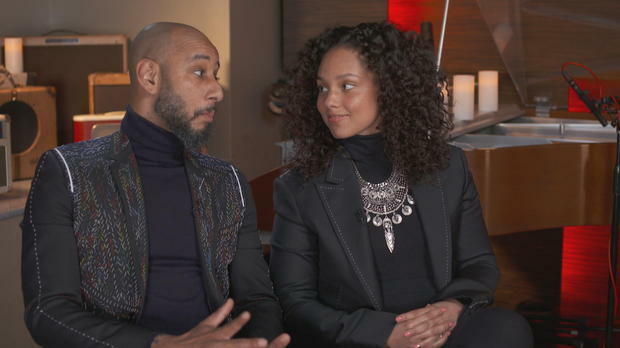 The discussion of responsibility is one with which the singer is familiar as she raises two boys of her own with husband Kasseem Dean, known professionally as Swizz Beatz. The couple have known each other since they were teenagers and got engaged in May 2010. They were married just two months alter, on July 31, and she gave birth to their first son Egypt, that October. In December 2014, Keys gave birth to their second son Genesis.